At 19:00 on 4 October, a round table event on the popularity of myths surrounding developmental disabilities will be held in parallel to the main programme of the sixth international Every Child Deserves a Family forum. Participants will include Naked Heart founder Natalia Vodianova, heads of NGOs and top media executives. Marianna Maksimovskaya will moderate the discussion. Participants will discuss the tendency for speculation to prevail over fact when working with people with special needs and the consequences of replicating unverified information, and will try to establish who is responsible for disseminating pseudoscientific data about working with people with disabilities. How can this be avoided? What kind of support does the media require from charity organisations and parents’ associations in order to ensure that information about people with developmental disabilities is presented reliably and that they are represented as equal members of society? The round table will also discuss positive developments in the provision of information about people with conditions such as autism, Down’s syndrome, learning disabilities and other special needs, and opportunities to raise public awareness about related issues. 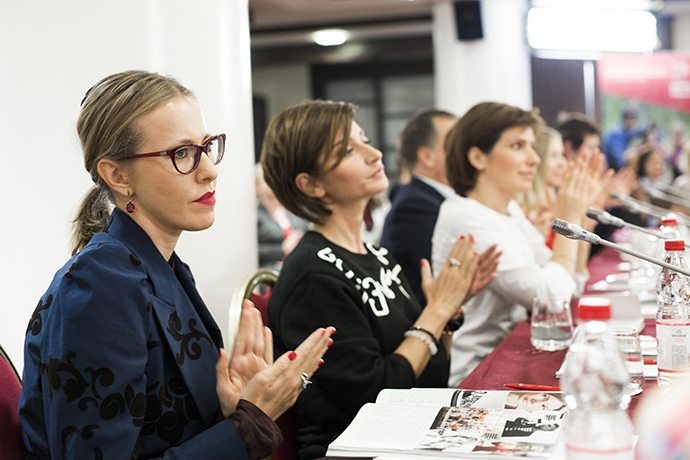 In addition to top media executives and Natalia Vodianova, the following people have taken part in round table discussions in previous years: Vladimir Posner, Dima Bilan, Ksenia Sobchak, Lika Kremer, Svetlana Zeynalova, Svetlana Sorokina, Anita Gigovskaya, Sergey Belogolovtsev, Elena Korovina, Andrei Loshak, Sophiko Shevardnadze, Avdotya Smirnova, Lyubov Arkus, Anton Komolov, Rustem Adagamov, Bakur Bakuradze, Ekaterina Gordeeva, and the Russian Deputy Minister of Education and Science Benyamin Kaganov, among others. The round table event will take place in parallel to the main programme of the Every Child Deserves a Family forum, which has been organised on an annual basis by the Naked Heart Foundation since 2012. The forum is a unique for communication and exchange of experience, not only between Russian and international specialists, but also with representatives of parents’ organisations and foreign experts with international experience in working with children and young people with special needs. The forum takes place on an annual basis, giving participants the opportunity to regularly find out about the work of their Russian and foreign colleagues and facilitating the creation of a professional community in Russia. This year’s forum will take place in Moscow from 2 to 5 October. Find out more on the forum website. The round table will take place at 19:00 on 4 October at the Renaissance Moscow Monarch Centre Hotel. Subscribe to the Naked Heart Foundation’s YouTube channel to watch the live stream.